Here you’ll learn about PsychWisdom psychotherapy and coaching services. How does PsychWisdom Psychotherapy Work? Coaching is an educational approach to helping you enhance personal performance. It has been used for many years in the arts and athletics. In these fields, a coach is considered absolutely necessary in order for an individual or team to achieve star status. Because coaching has been so successful in helping athletes and artists achieve their goals, it has made a rapid expansion into other areas of life. Coaching is particularly useful for those who those who are emotionally stable and want to move ahead in their careers. Here you will have the opportunity to sign up for PsychWisdom e-newsletter that is published twice monthly. You will delight in receiving three short insightful, interesting, intriguing articles. Perhaps you’d like to learn about how to deal with passive-aggressive behavior. Or, you might enjoy clarifying your thoughts on whether people can really change. 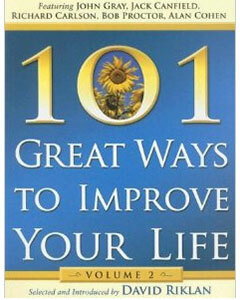 Or, you might be intrigued by an article on how to decrease the stress in your crazy, busy lifestyle. All articles and quotes are short, to the point, and designed to pique your interest. Join this international community of readers by signing up right now. To subscribe, use the form here. But first, two questions for you to see if you are in the right spot. Do you reflect on life experiences, wondering about what makes you happy, sad, angry, afraid? Are you curious about relationships, thirsty for knowledge about why people act as they do? Well, then you’ve come to the right place! These days, the overextended life is the norm for many. People who gab about their bustling, buzzing, on-the-go life are rarely ashamed of it; indeed, there is a bit of boasting (despite the occasional sigh) about how insanely busy they are. Read Full Article Here. If you talk to yourself, does that mean you are losing it? Or, might it actually be a sign of sanity, making you smarter. Smarter, not daft?? Right! Read Full Article Here. For more Featured Articles see below. Are you a person who has limited time but an unlimited thirst for knowledge? Do you wonder about why people (including you) act and feel the way they do? Great ... you’re in for a treat. 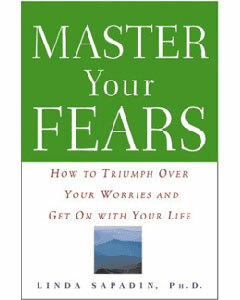 Master Your Fears is a bold, innovative work that gives the reader skills and strategies to lessen the fear in their lives. These world class experts have joined together to give you amazing ways to change your life for the better...and you can get all of these 101 life-changing secrets for a very modest sum! PsychWisdom is a FREE E-newsletter providing top-flight advice on enhancing relationships, enriching communication skills and cultivating personal growth. To subscribe, use the form here. Linda Sapadin, Ph.D. is a psychologist who specializes in helping people overcome self-defeating patterns of behavior, particularly debilitating fear and chronic procrastination. Dr. Sapadin has been honored with “Fellow” status by the American Psychological Association, an indication that her work has an international impact on the field of psychology. Dr. Sapadin’s office is located in Valley Stream, Long Island, a short distance from New York City. She can be reached at lsapadin@drsapadin.com or by phone at 516 791-2780. 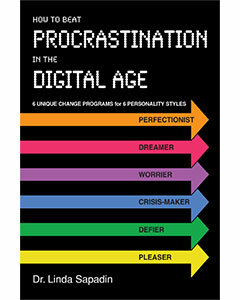 She is the author of 6 self-help books, including How to Beat Procrastination in the Digital Age, Procrastination Busting Strategies for Perfectionists and Master Your Fears. 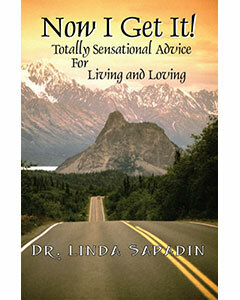 For more info, click here Books by Dr. Sapadin. She has appeared on the Today Show, Good Morning America, and National Public Radio. 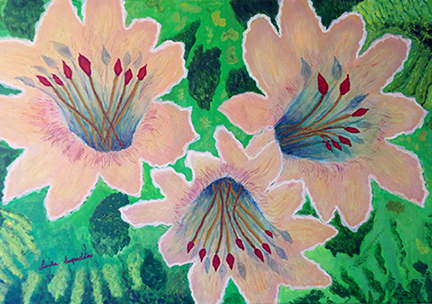 Her work has been featured in The New York Times, USA Today, and The Washington Post. For more information about Dr. Sapadin go to the About page here.